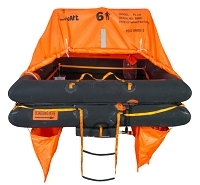 Life Raft Store carries Emergency Survival Kits For Sale. The kits are EAM designed and are made for landing in Desert and Polar regions. Order your EAM Emergency Survival Kits Online Today! designed and built his own life rafts and vests by hand. stations to ensure the optimal maintenance and performance of its products. EAM Worldwide proudly serves clients around the world with its headquarters in Miami, Florida and global sales office in Dubai, United Arab Emirates. Our survival kit catalog provides survival safety solutions for commercial, corporate and general aviation clients. Each kit is manufactured with the highest quality of service and inspection to ensure we surpass the needs and expectations of our clients. In addition to our eight standard survival and safety kits, EAM Worldwide can also customize any survival kit to the exact specifications from our clients. Kits Types Include: Desert, Jungle, Uninhabited Terrain, Polar, Military, General & First Aid packs. (from 1 to approximately 50 persons). EAM can also customize the survival kit to accommodate even more individuals and time duration if requested.